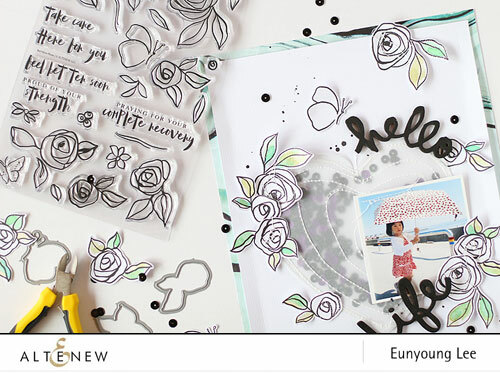 Hello, crafty friends. It’s Eunyoung here. 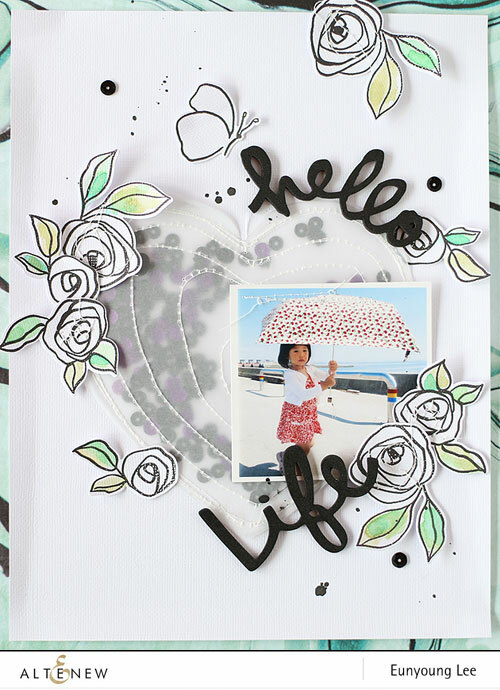 Today I ‘ll share a layout with Bamboo Rose Stamp Set. 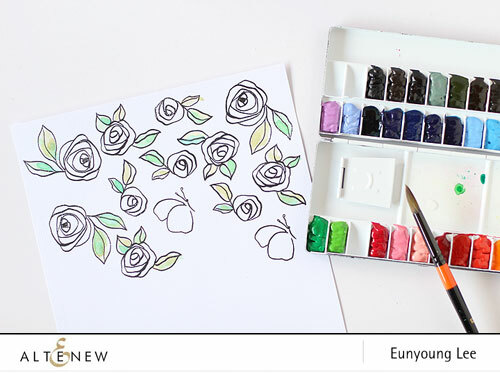 Its roses and leaves have a unique stroke line. I wonder why its name is ‘BamBoo rose’ , because I’ve not seen a rose on bamboo.!! 🙂 And I found the reason why it was called like this in Altenew online shop. As they were painted with a hand curved bamboo stick, and that is where the name of this set comes!! It’s so amazing!! I stamped three different sized images on white cardstock with black ink pad. (I used a versafine inkpad.) Because the roses and leaves have a unique stroke line, I didn’t paint full image with water colors. I painted some leaves lightly. After drying watercolors, I die cut them using Bamboo Rose Die Set. I used a mini nipper for cutting dies. I drew a heart shape on a translucent vellum with a pencil. The heart shape is for shaker box. Because I want to make the line on the heart shape, so I did machine stitching with white thread. I sewed the half of heart shape by machine and I put some sequins in it. I have sewn all of the remaining part. I embellished with bamboo die-cuts & sequins and add a title. I finished to layer a patterned paper on the backside of white cardstock and splatter a black mist on it. I hope you’ll enjoy it and Thank you so much!! I agree. 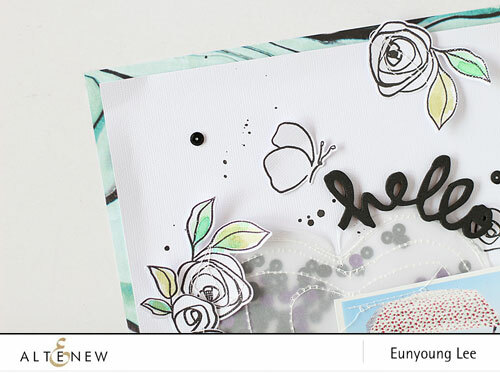 Love altenew stamps. 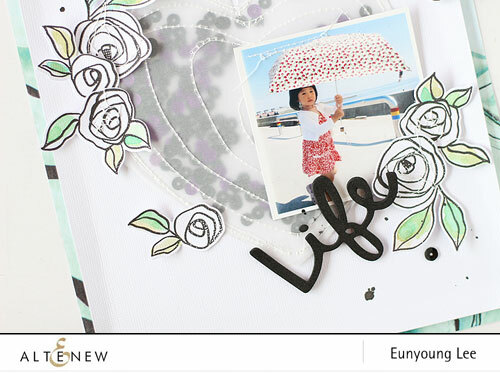 vary delicate and beautiful card, thanks for sharing.